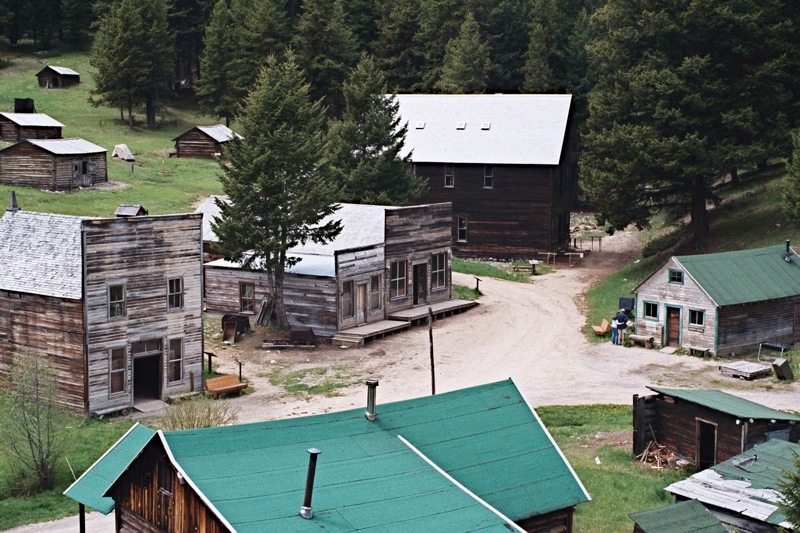 Once home to hundreds of residents during the push westward and subsequent gold rush, Garnet is now one of hundreds of ghost towns dotted across the US. 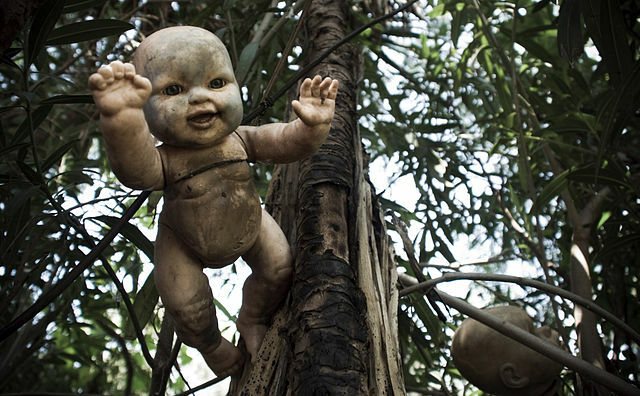 The town is abandoned, left exactly as it was when it was abandoned in the 1930s. 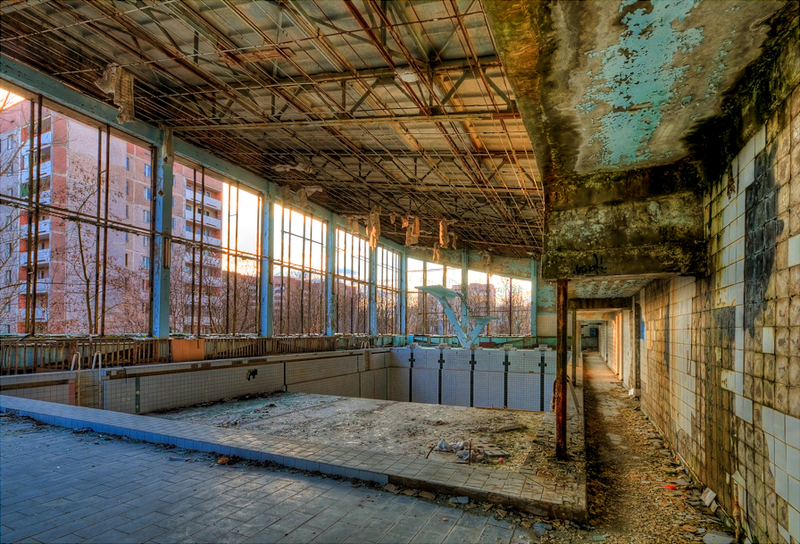 A town in the Ukraine, Pripyat was abandoned because of the Chernobyl Nuclear Power Plant meltdown in 1986. Few signs remain of the hundreds of workers and their families who once lived there. 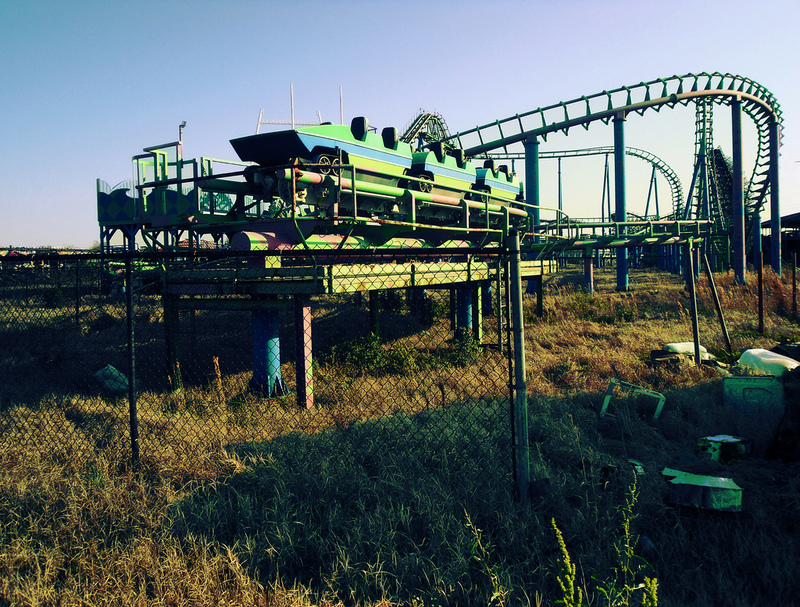 An amusement park in New Orleans, Six Flags was established in 2000 and did good business up until 2005, when Hurricane Katrina hit the area, devastating literally everything. The park never reopened and stands deserted. 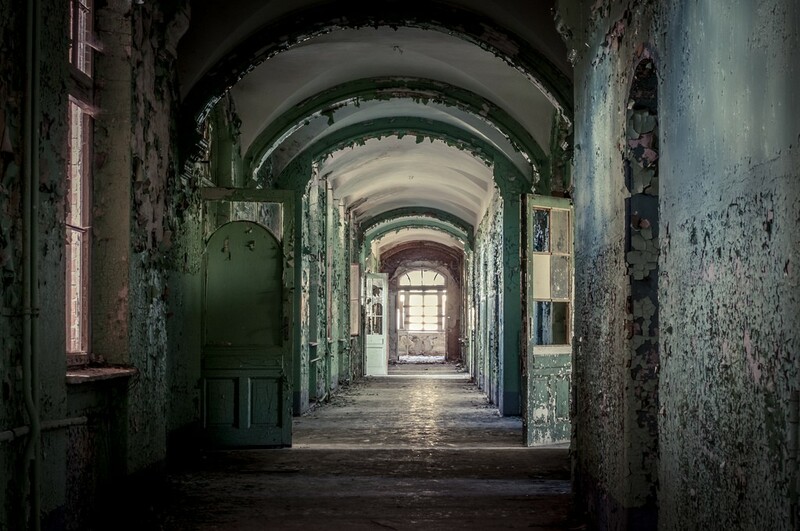 Built in the 1800s to help the area cope with an outbreak of TB, the old sanatorium was later converted into a military hospital and used throughout both World Wars. During World War One, a young Adolf Hitler recovered from a leg wound here. 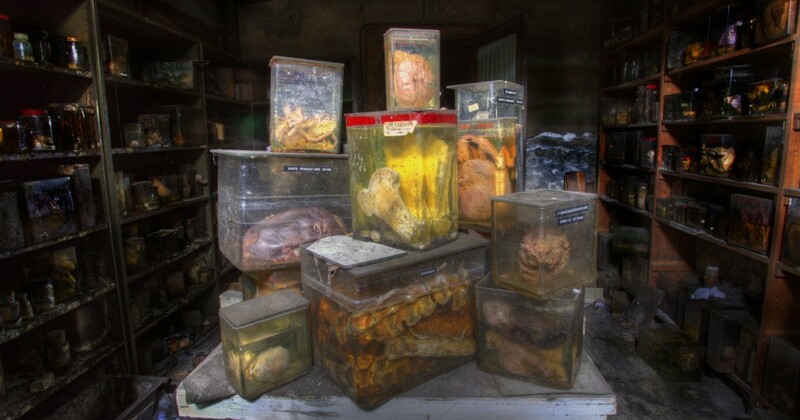 Abandoned since the fall of the USSR, the hospital has steadily fallen deeper into decay. 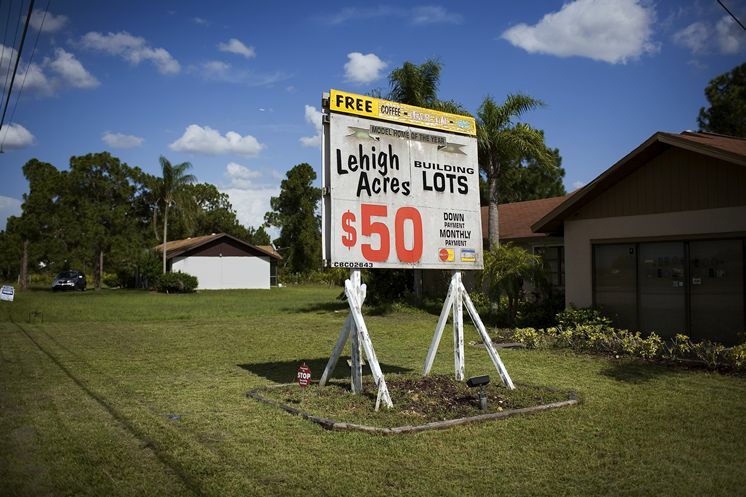 In the 1950s, a pair of businessmen bought up a huge tract of land in Florida and sold small portions of it for hardly any money at all. It took decades, til the real estate bloom of the 90s, for houses to spring up. Eventually, there were far more houses than there were people living there and today it stands empty, a modern ghost town. Standing abandoned since the 90s, the veterinary school’s rooms are filled with syringes and scalpels and jars filled with unknowable liquids – there is even a section called the “Horror Labs”, where creatures of various shapes and sizes (some sewn together!) are stuffed into jars.